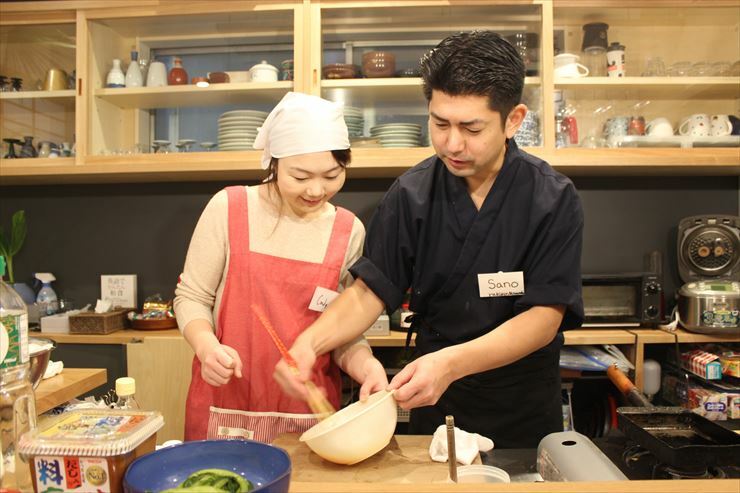 Japanese Cooking Class “att.Kitchen in Ningyocho” is held once a month at Ito Ryokan. 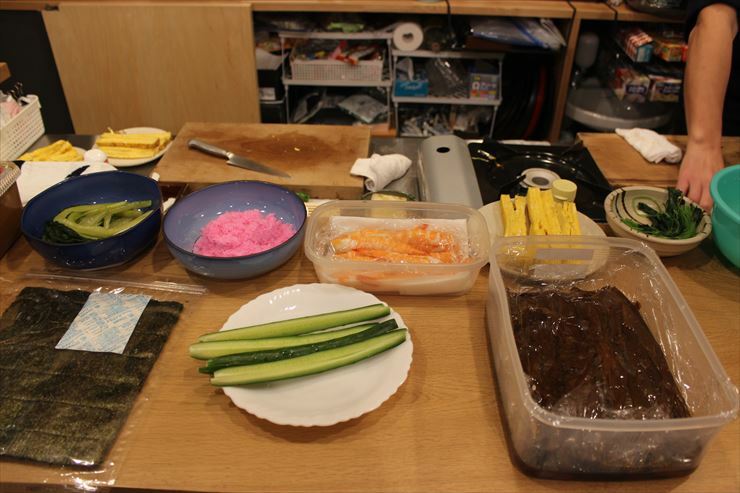 This time, we made eho-maki (Sushi roll) and atsuyaki tamago (Japanese omelet). Two people, from Taiwan and America, joined the class. “You were very good at it for the first challenge,” the teacher gave a compliment too! 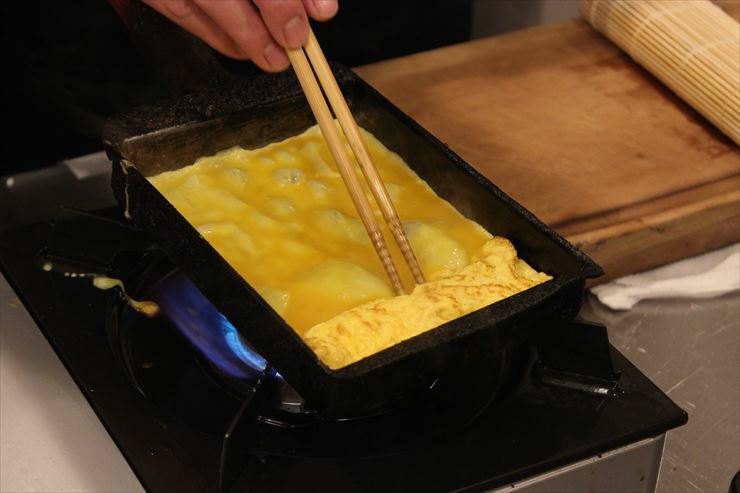 Then the omelet was cut into thin pieces and ready to be used for ehomaki, which is made next. 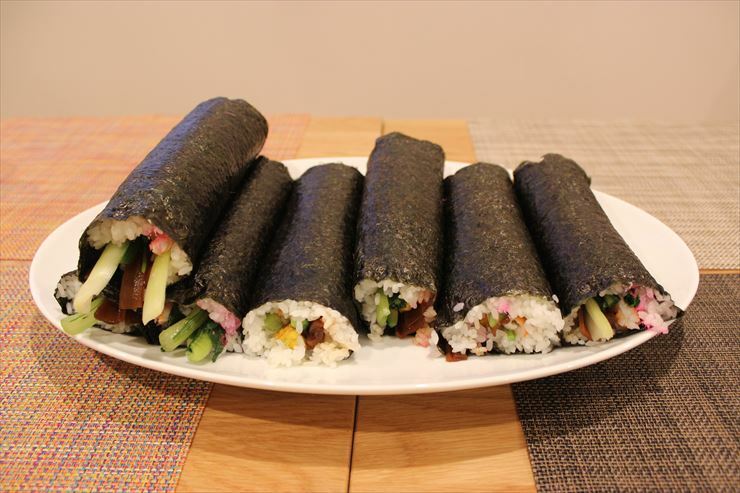 Eho-maki is rolled sushi which Japanese people have a custom to eat on February 3rd, the day of Setsubun (the day before the beginning of spring according to the old calendar). Eho means the best direction of the year and the eho of 2019 is east-northeast. 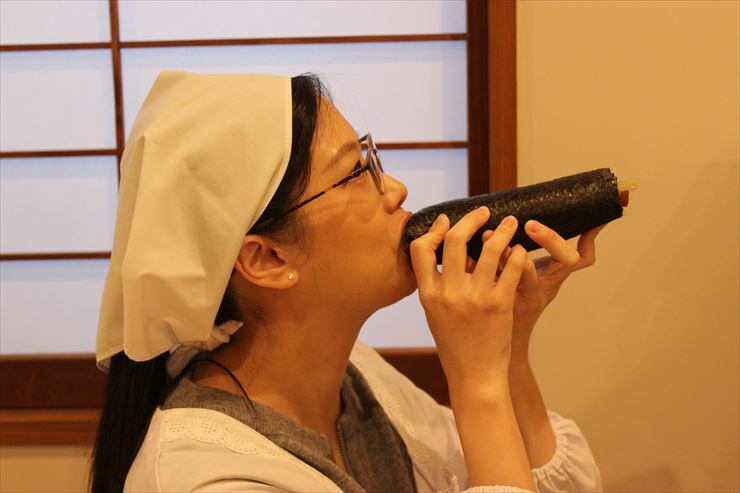 We do not cut Ehomaki into pieces, but eat the whole thing facing the eho recalling our wishes, so that “we don’t break off relations.” Usually, seven types of ingredients are used associated with the Seven Deities of Good Fortune. 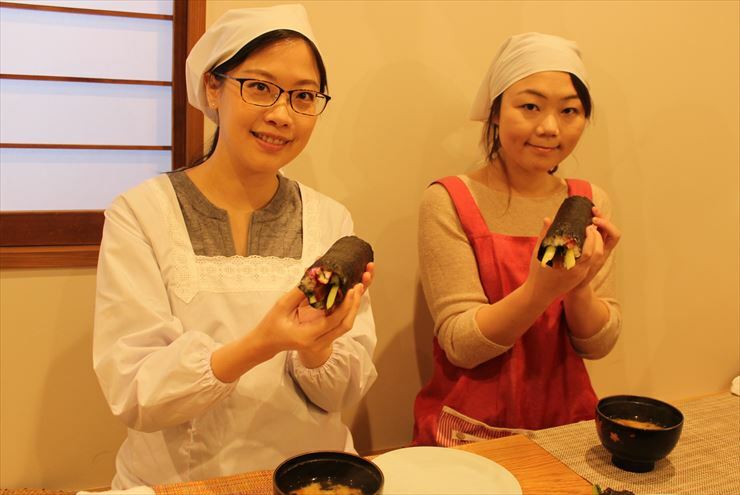 Participants rolled many ingredients with rice and made very thick rolled sushi. They faced the eho when they ate their eho-makis and ate up the whole thing. They laughed at each other with their mouths full and the class ended with full of happiness. Why don’t you join in the next class? 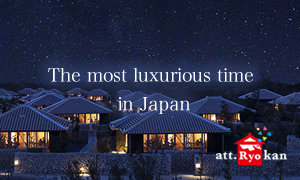 We will be waiting for your coming! 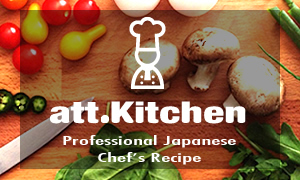 When making atsuyaki tamago, you pour the egg liquid in a few times under the baked egg so that the egg layer would disappear, and you can connect them. 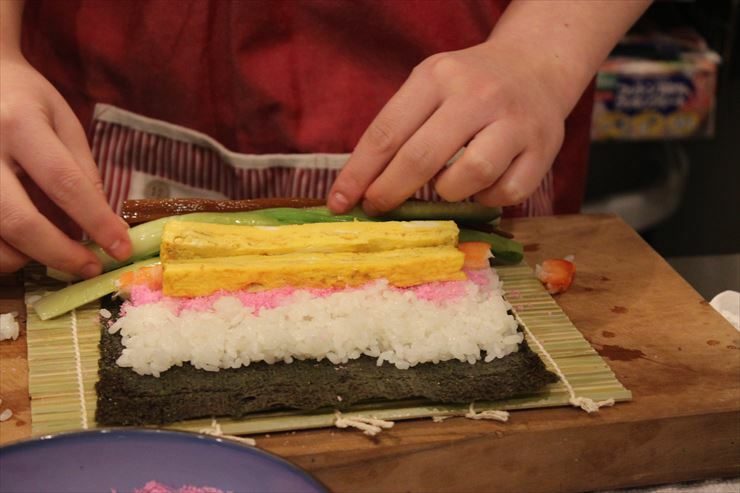 If you don’t put too many ingredients in the sushi roll, you can roll them neatly. 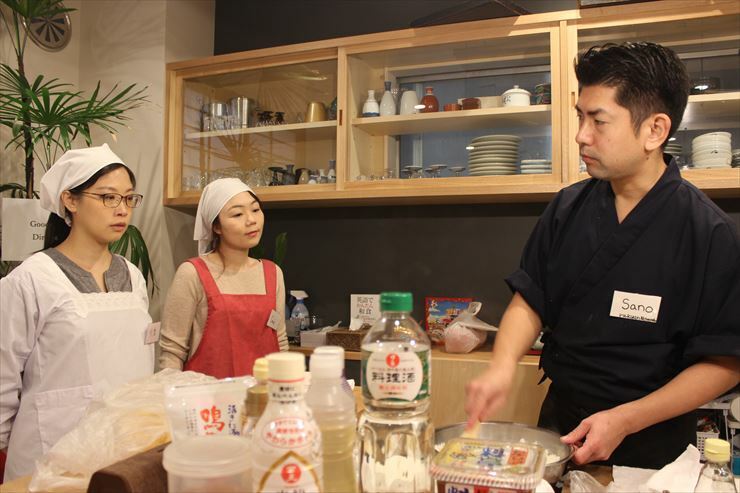 The cooking class was very chill and knowledgeable. The experience was fun, and the staffs are very friendly. 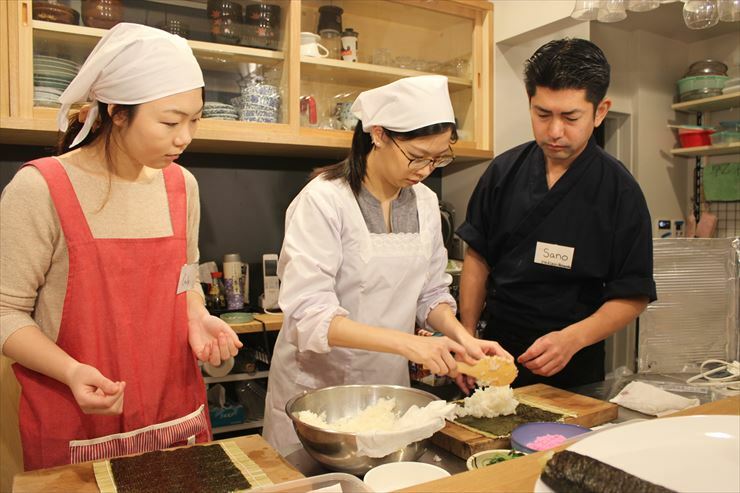 The class was a nice way to interact with the locals while learning some local Japanese cooking. 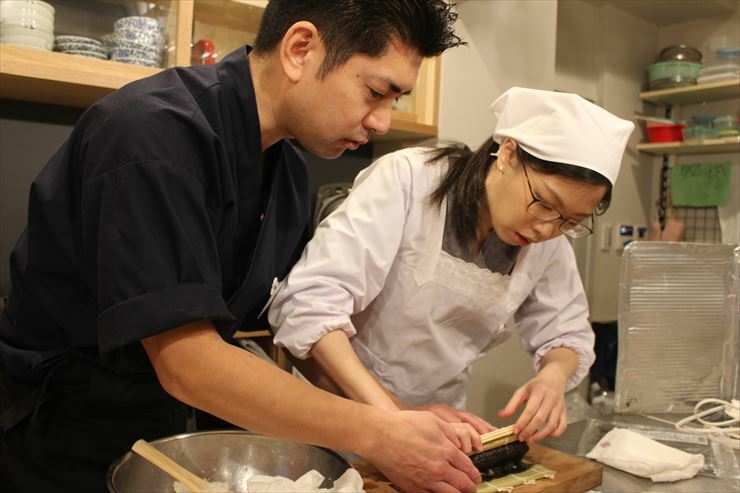 Even if you may not be actively cooking, the chief kindly helps you out, so that was nice too. 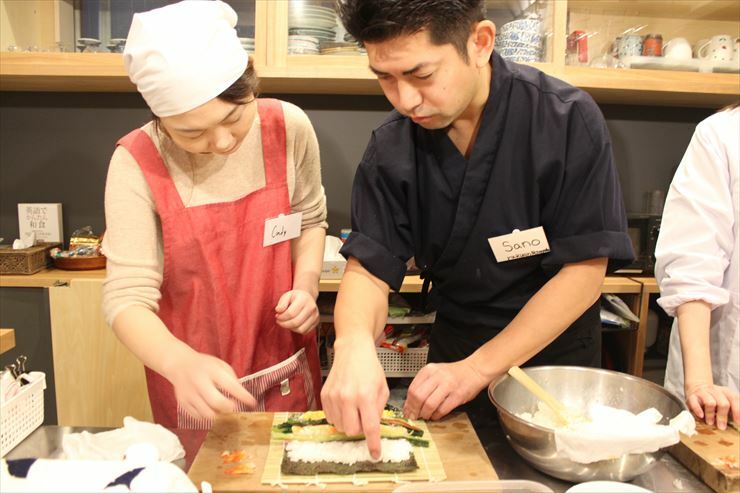 Overall, a very easy-going cooking class to learn about Japanese cooking. 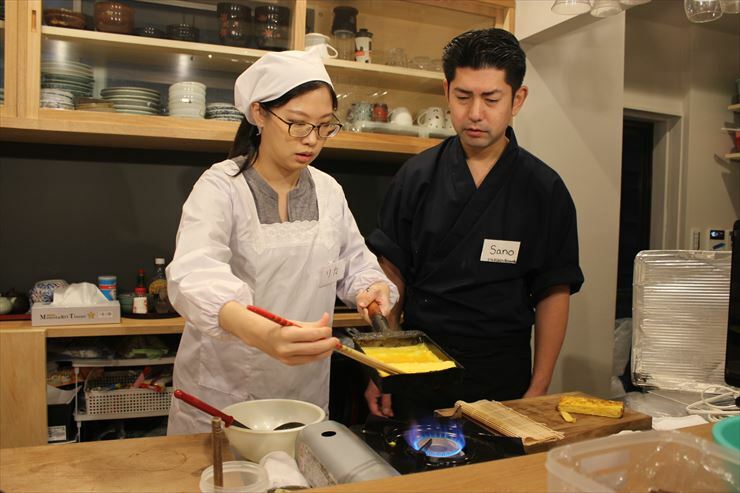 It is difficult to learn deep knowledge and techniques about Japanese cuisine in a short amount of time, Mr Sano explained to us simply how to make Atsuyaki tamago and dashi (Japanese soup stock) so we were able to make them easily. I would like to make them at home too. 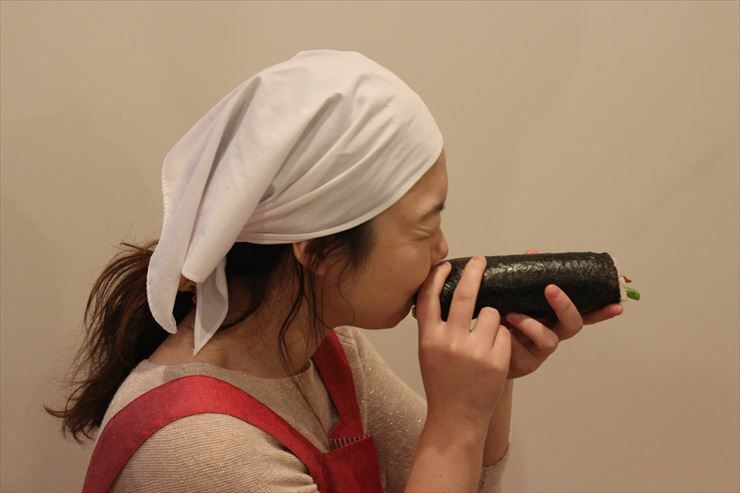 Also, I learned how to make ehomaki, how to eat it, its origin and so on. I learned a lot. I spent a great time and had a wonderful experience. Thank you very much.